After 14 days of painful waiting, finally the murderer of the innocent little Zainab was caught, but this brought to light a shameful debate on rights and wrongs of the public punishment along with genuine worried queries regarding the efficiency of the Pakistani police and its justice system. From January 2018, the loss of many innocent lives in this region was witnessed, and this loss was not because of any foreign invasion but due to pure negligence and non-performance of the institutions that are supposed to provide people with safety and justice. Only in Karachi three innocent young men lost their lives within a week at the hands of the police. In Kasur twelve little girls lost their lives to the brutality of a criminal and the inefficiency of the law enforcement agencies. There are three aspects to this issue. 1- As we know that existing law in Pakistan is manmade and the fact of the matter is that men differ in opinion and can object on another man’s understanding and application of law. 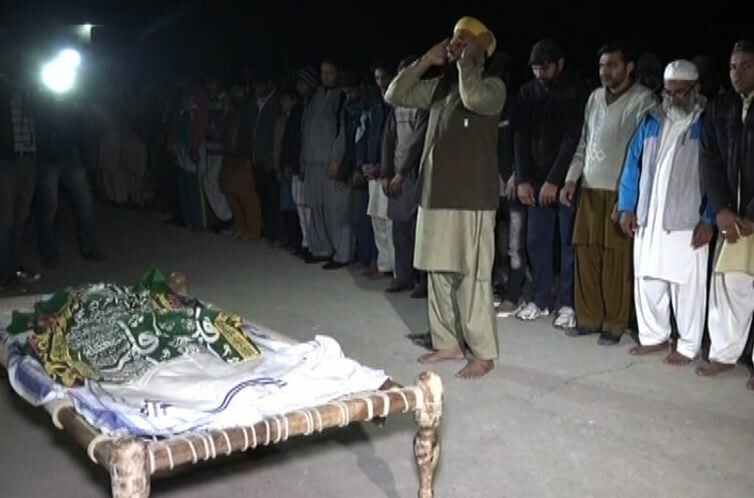 Though according to the Pakistan Penal Code, the punishment for murder falls under Qisas and Diyat, this always has been manipulated by the powerful where they kill an innocent and if caught a hidden contract is drawn and after some time it is declared that the aggrieved family has accepted Diyat. The Raymond Davis case is an example of using these Islamic terms to fulfil the ugly needs of this ugly system. On the other hand we have NGOs (non-governmental organisations), that are screaming for their self-perceived human rights and of course for them killing a murderer is against humanity. In 2008 following the pressure of the European Union, a moratorium on executions was imposed which was later lifted after the Peshawar massacre of December 2014. 2- The Senate’s Standing Committee on Interior proposed an amendment in the Pakistan Penal Code to publicly hang a convict involved in sexual abuse and murder of children below the age of 14. On this there was a reaction from other members of the senate declaring it would lead to the ‘’brutalisation of society’’. 3- As Muslims we believe that whatever Islamic law contains is divine and that can only bring mercy to the followers and it should not leave any chance for debate or need for approval. Here the criminal has confessed to all major charges and has admitted his guilt. Islam allows the right of retribution to all the heirs of the victims and does not give the right to choose punishment to the members of Senate. Islam is not an aristocratic system where the fate of an individual lies in the hands of an elite. The Islamic ruling system not only provides a punishment system but also a protection system. Crimes like this depict a sick mind that has been fed by a society that has been created by some sick rulers who fearlessly defy Allah and His laws. People of this society still have power to shake the thrones of these rulers. They demanded justice for Zainab, but do they know that Zainab will only get justice the day when Islam is implemented on this land in every form and no father will have to carry his butchered daughter to the grave while authorities had the courage to blame him for neglect as a parent. Previous PostOne Year into Trump’s Presidency: Triumph or Failure? Next PostThe Children of Iraq … a Dreadful Reality and a Future that Promises Years of Stagnation!